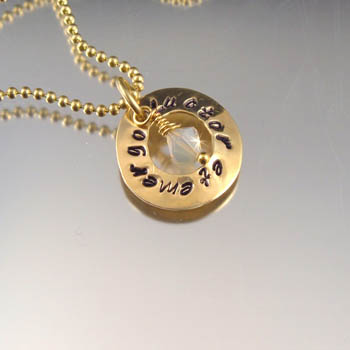 Latin Phrase Jewelry is a never changing trend for both women and men. 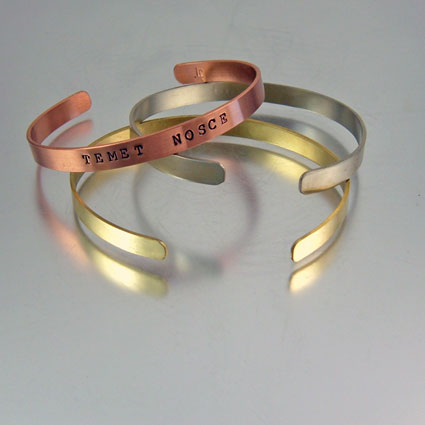 Each original Latin phrase jewelry piece is designed and handmade in my studio and is exclusive. 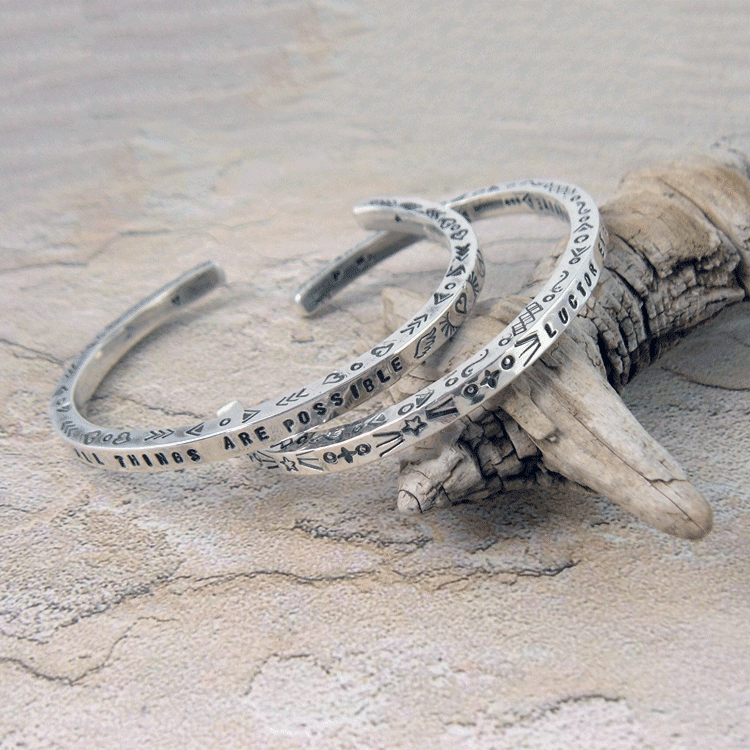 Latin Phrase Jewelry is meant to make a statement. Maybe it�s what you feel; perhaps it has to do with your profession. Whatever the reason we know it�s a good one. 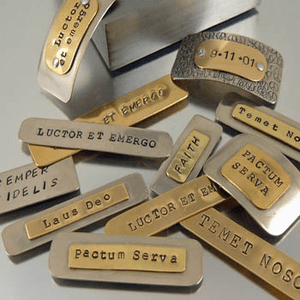 Latin Phrase Jewelry is handmade using sterling silver or 99.9% Fine Silver, jewelers brass, German silver, copper, bronze or a combination of several of these metals. Each may vary slightly due to its the handmade nature. Sic vita est "thus is life"
Per Angusta Ad Augusta "through difficulties to honors." 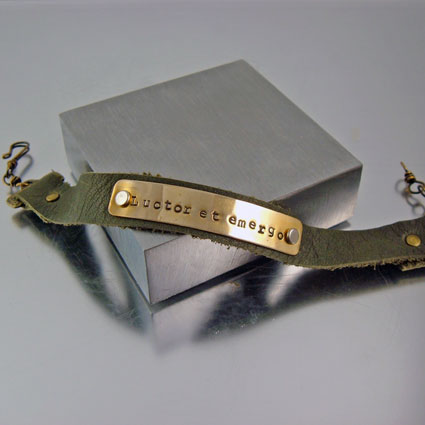 Used by soldiers, students, survivors, attorneys, doctors, nurses and EMT's to name a few. Alternative translations; "through trial to triumph" and "through difficulties to great things". 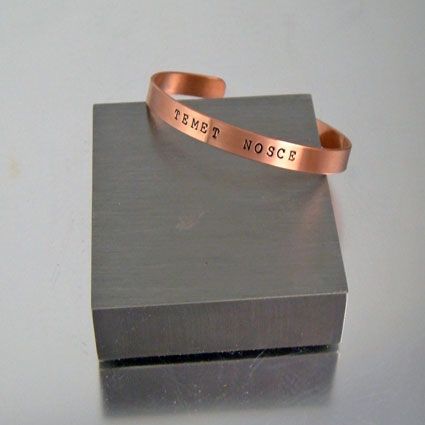 A variety of phrases can be stamped and incorporated into different designs of jewelry or metals such as sterling silver, all which can be custom made for you. 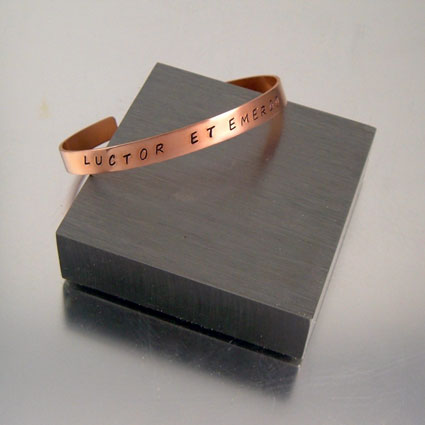 If you see a jewelry piece that you'd like with a personalized Latin Phrase, please contact me so I can make it especially for you or someone special.